ANES Question Search results found for ' + keywords.toUpperCase() + '. Please try different keywords. Use this tool to search the ANES Time Series survey questions. 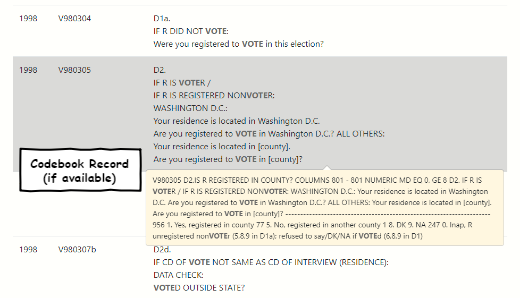 Search results show the question text (and the codebook record if available) matching search keywords. 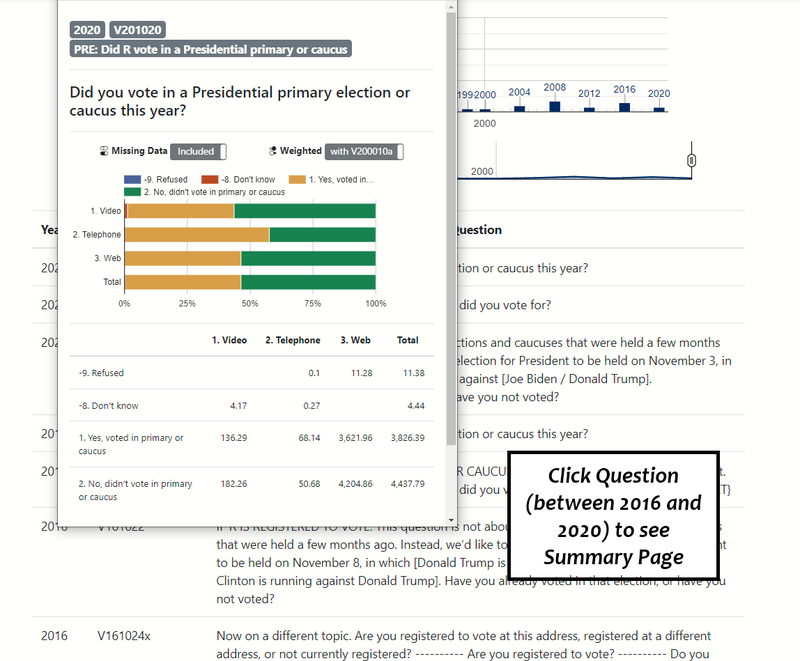 February 2019 Update: The variable summary page is now available for the surveys between 1992 and 2016. Simply click any question in your search results. Something went wrong. Search criteria must be longer than two characters. Please try again. 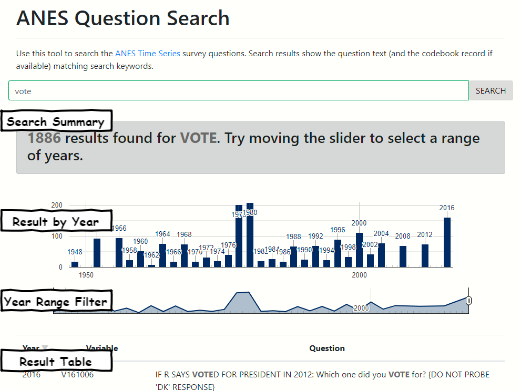 Currently the variable summary page with table/chart is only avaiable for ANES Time Series survey questions since 1992. We hope to make more updates in the future. Thanks.